You read about a new near-miss incident every month or so. Yet another camera drone nearly collided with a military jet or passenger plane. A major catastrophe has been avoided, the reports say, but just barely. In the UK, The Telegraph reports that drone near-misses have tripled to 92 in 2017 compared to just 15 in 2015. In the US, drone sightings by pilots have been on the rise. According to the FAA, there were 1,274 reports in 2016 compared 874 in 2015. By 2017, the FAA was receiving over a hundred reports per month. Several serious incidents have captured the public’s attention. There was an incident last year where a drone dented the side of a military aircraft. In another case, a drone flew too close to an Airbus A321 coming in for landing. These growing reports have been followed swiftly by local governments and airline industry groups calling for tougher regulations on hobbyist drones. In the US, groups representing pilots, air traffic controllers and major airlines have repeatedly urged the FAA to take stricter measures against small drones. Drones are a safety risk to helicopters and airplanes. But the risk severity is still a point of heated debate. Recently, the UK government released a report(pdf) from a study on mid-air collisions between drones and aircraft. 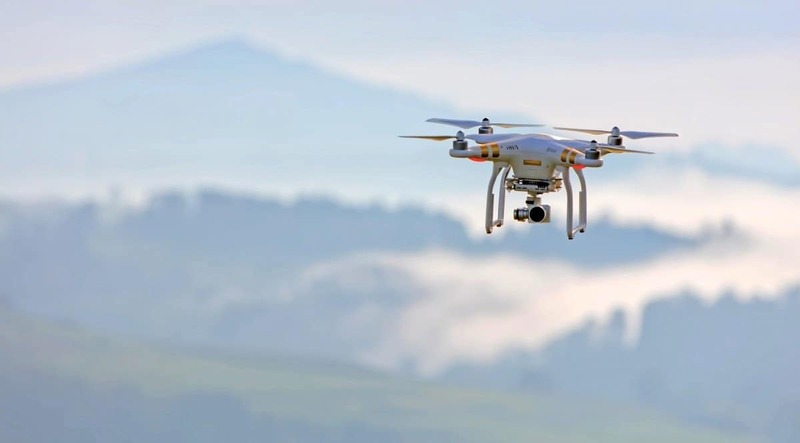 The report is quite damning for drone operators with the study concluding that drones could cause various degrees of damage if they collide with helicopters or airliners. It also noted that small drones could be more damaging than even birds because of their metal parts. But there was no shortage of criticism from the drone industry and from hobbyists. Many pointed out that the only significant damage observed in the study was from drones weighing over 3kg. Most of the hobbyist camera drones sold nowadays weigh less than 1kg or slightly over. The new DJI Mavic Air for instance only weighs 430g. Even the heavyweight Phantom 4 Pro weighs just 1.3kg. Most of these lightweight drones cannot even get high enough to threaten airliners. Furthermore, the study relied on virtual models that present an inaccurate picture of what would happen in real life. The study also did not consider the likelihood of a drone hitting a plane; it only looked at what would happen if there was a collision. So far, most studies and real life incidents indicate that drones are unlikely to cause serious incidents in airplanes. Airliners have tough windshields that can withstand today’s light drones. And even if the drone gets into the engine, most planes can still land safely. If anything it’s helicopters and other light aircraft that are at most risk. Their windshields are not as strong and their rotors are vulnerable to damage from a flying drone. There is also the fact that they fly lower than airliners. But even for smaller aircraft, the risk of life-threatening damage is low. The statistics cited in news reports may also not represent the real picture. The FAA for instance tallies every report of a drone sighting by a pilot. These are not verified sightings and there have been many cases of pilots confusing other objects for drones. One piece of information that most media reports leave out is that the number of hobbyist drones sold has drastically gone up. In 2017, over a million drones were sold. It is expected that there will be 7 million drones in the US by 2020. When you compare this with the fact that near-misses have gone up by less than a hundred within 2 years and (unverified) sightings by a few hundreds, it seems that drones are not really the menace some have made them out to be. Companies like DJI have made serious efforts to help their customers fly safely. Recently, they launched a drone-tracking system called Aeroscope. 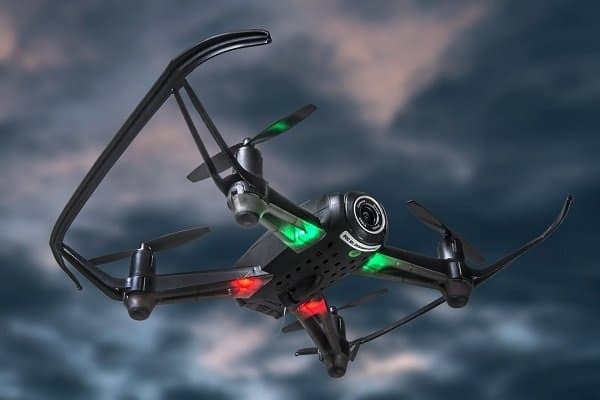 It can identify and track airborne drones in real time near sensitive locations such as airports or government facilities. 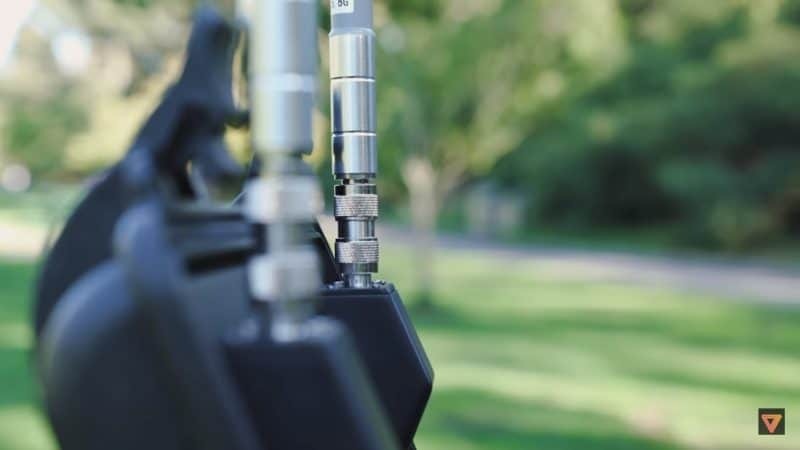 This is in addition to their existing geofencing feature that keeps drones away from specific areas where they pose a high safety risk. Most drone owners will not deliberately fly their expensive drones in the path of an aircraft. They also know that such an incident could attract heavy fines and even jail time. Most of these incidents and sightings being reported are most likely drone operators not knowing they were flying in a dangerous place or accidentally losing control of their drone. To be clear, any incident deserves serious concern. But for now, current regulations in the US and other countries are strong enough to deter any deliberate activity that puts airplanes at risk. What we need is better technology such as Aeroscope, to reduce these incidents.